Andrea Palladio (30 November 1508 – 19 August 1580) was an Italian Renaissance architect active in the Republic of Venice. Palladio, influenced by Roman and Greek architecture, primarily by Vitruvius, is widely considered the most influential individual in the history of Western architecture. All of his buildings are located in northern Italy, but his teachings, summarized in the architectural treatise I Quattro Libri dell'Architettura (The Four Books of Architecture), gained him wide recognition. Palladio was born as Andrea di Pietro della Gondola in Padua, then part of the Republic of Venice. His father Pietro called "della Gondola" was a miller. In Padua he gained his first experiences as a stonecutter in the sculpture workshop of Bartolomeo Cavazza da Sossano, who is said to have imposed particularly hard working conditions. In fact, in April 1524, after one failed attempt, Palladio managed to run away to Vicenza. Here he became an assistant in the Pedemuro studio, a leading workshop of stonecutters and masons. His talents were first recognized in his early thirties by Count Gian Giorgio Trissino, an influential humanist and writer. As the leading intellectual in Vicenza, Trissino stimulated the young man to appreciate the arts, sciences and Classical literature and granted him the opportunity to study Antique architecture in Rome. It was also Trissino who gave him the name by which he is now known, Palladio, an allusion to the Greek goddess of wisdom Pallas Athene and to a character of a play of Trissino itself. Indeed the word Palladio means Wise one. 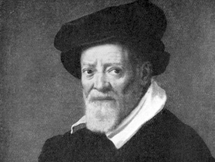 After Trissino's death in 1550 Palladio benefited from the patronage of the Barbaro brothers, Cardinal Daniele Barbaro, who encouraged his studies of classical architecture and brought him to Rome in 1554, and the younger brother Marcantonio Barbaro. The powerful Barbaros introduced Palladio to Venice, where he finally became "Proto della Serenissima" (chief architect of the Republic of Venice) after Jacopo Sansovino. In addition to the Barbaros, the Corner, Foscari, and Pisani families supported Palladio's career. The Palladian style, named after him, adhered to classical Roman principles he rediscovered, applied and explained in his works. 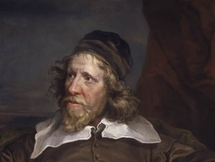 His architectural works have "been valued for centuries as the quintessence of High Renaissance calm and harmony" (Watkin, D., A History of Western Architecture). 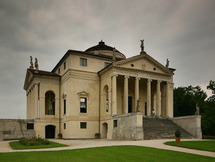 He designed many palaces, villas and churches, but Palladio's reputation initially, and after his death, has been founded on his skill as a designer of villas. The palladian villas are located mainly in the province of Vicenza, while the palazzi are concentrated in the city of Vicenza and the churches in Venice. A number of his works are now protected as part of the World Heritage Site City of Vicenza and the Palladian Villas of the Veneto. Other buildings by Palladio are to be found within the Venice and its Lagoon World Heritage Site. His few portraits are largely hypothetical. Also the precise circumstances of his death are unknown. Palladio died in 1580, near Treviso, and was buried in the church of Santa Corona in Vicenza.